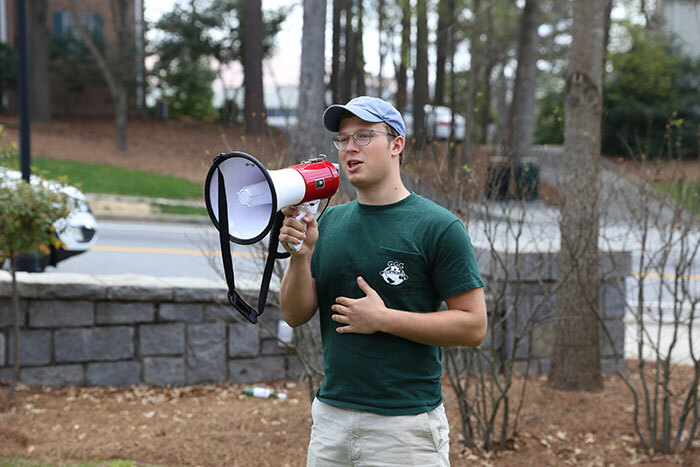 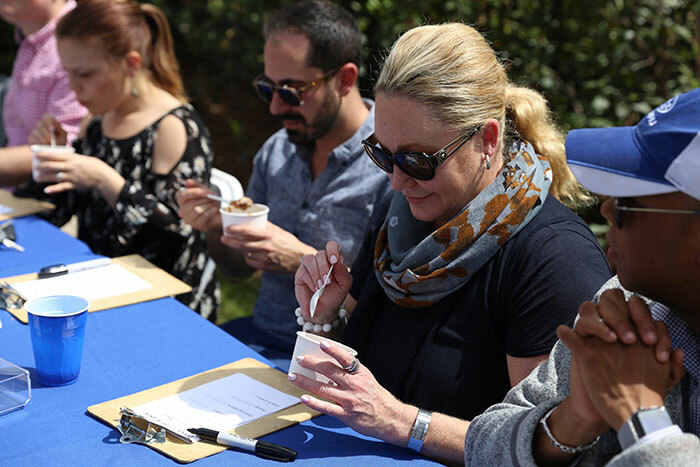 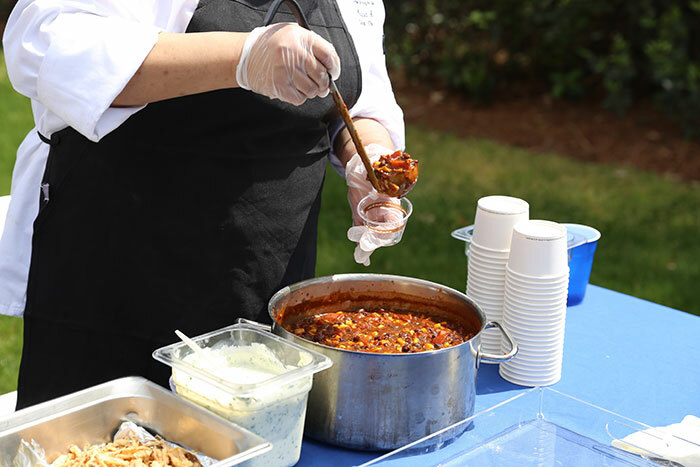 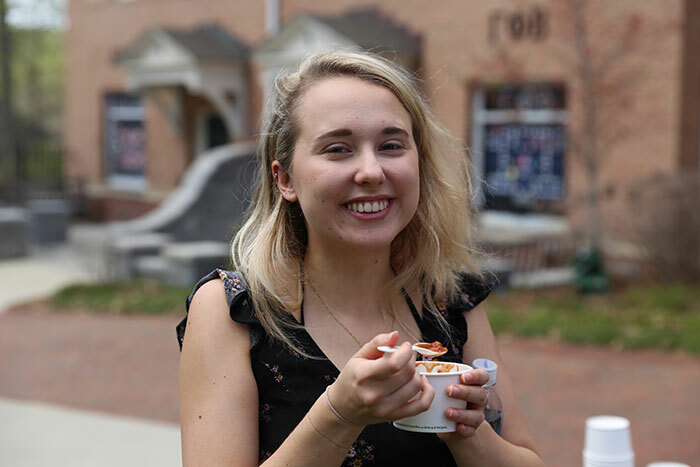 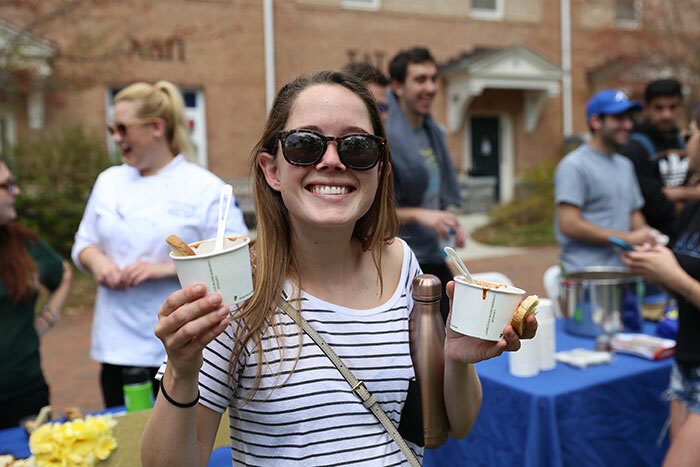 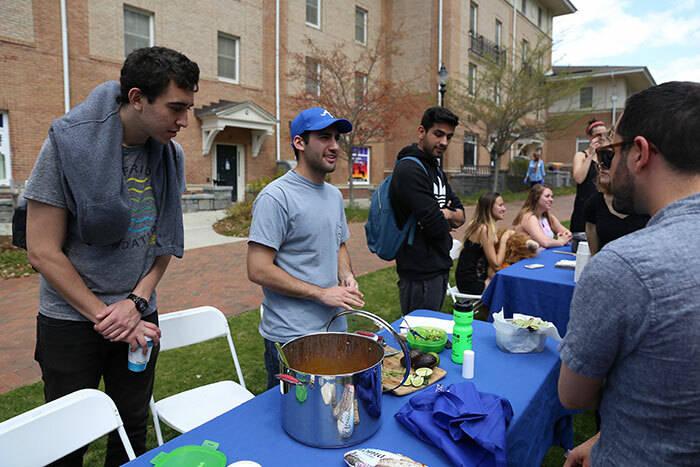 Students in Emory's Greek organizations faced off against chefs from Emory Dining on March 25 for the final rounds of the first annual Greeks Go Green vegetarian chili cook-off. 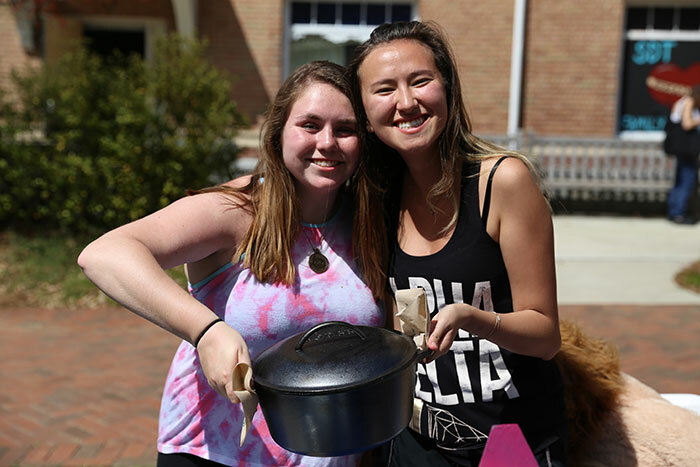 The contest began March 18, when Greek organizations competed against each other to see who would make it to the final round against professional chefs. 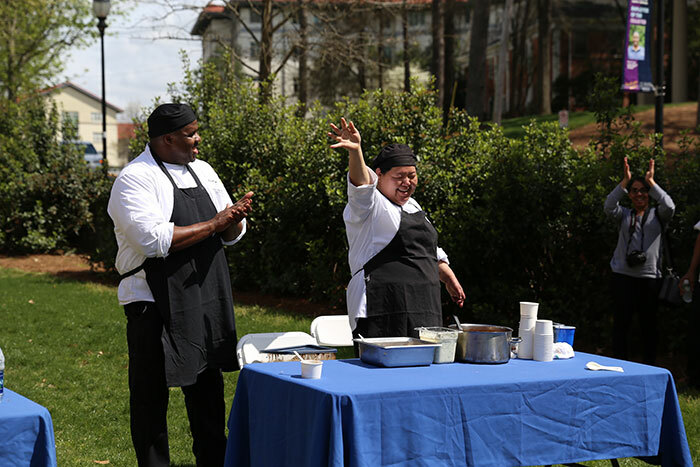 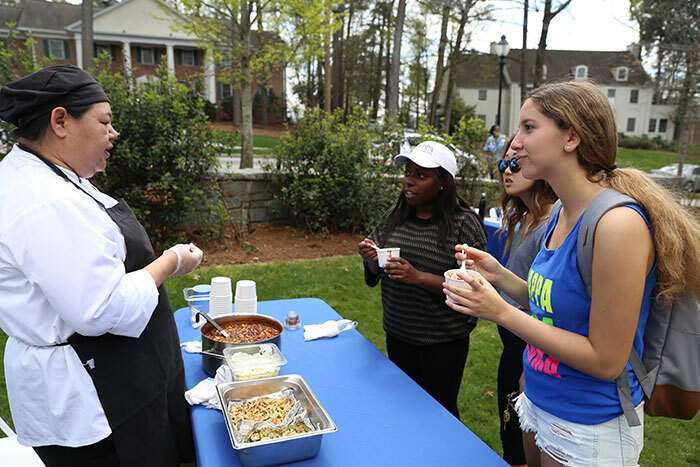 Winning cooks from Alpha Delta Pi, Sigma Delta Tau and Alpha Tau Omega advanced to the last round of competition, joining Emory Dining chefs on Saturday to offer samples of their recipes on the Sorority Lawn. 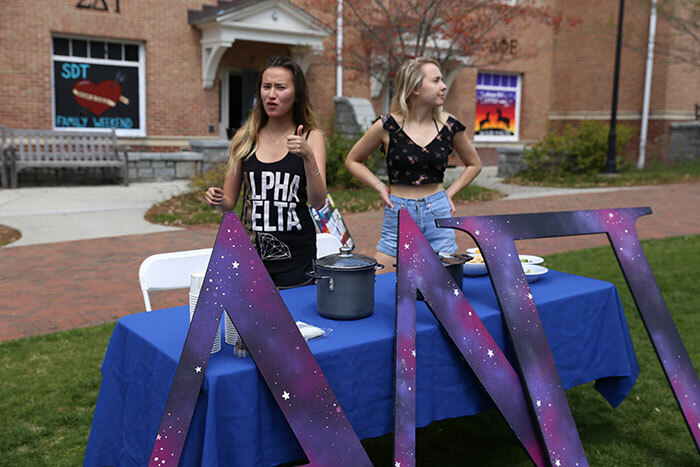 Delta Alpha of Alpha Delta Pi won first place, taking home $500 for their philanthropy efforts and the opportunity to have their recipe featured in the DUC. 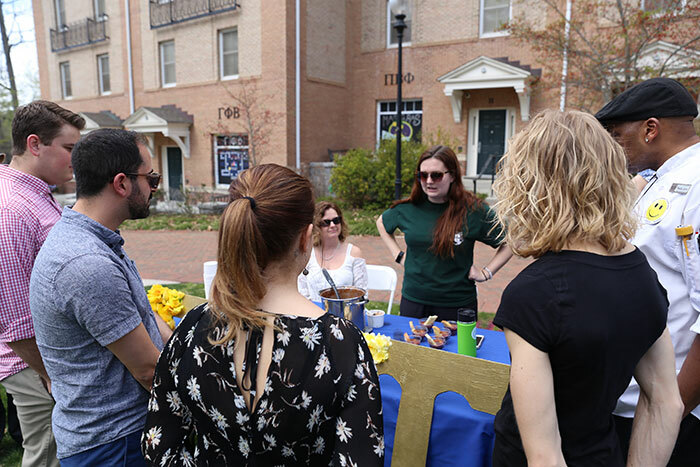 Emory Greeks Go Green is a student organization dedicated to encouraging sustainable practices in Greek housing and events.